How to get from Bangkok to Koh Samui? Are you looking to board the Bangkok to Koh Samui overnight train or the picturesque boat ride from Bangkok to Koh Samui? I’m going to tell you everything you need to know regarding how to get to Koh Samui from Bangkok, using the night overnight train. 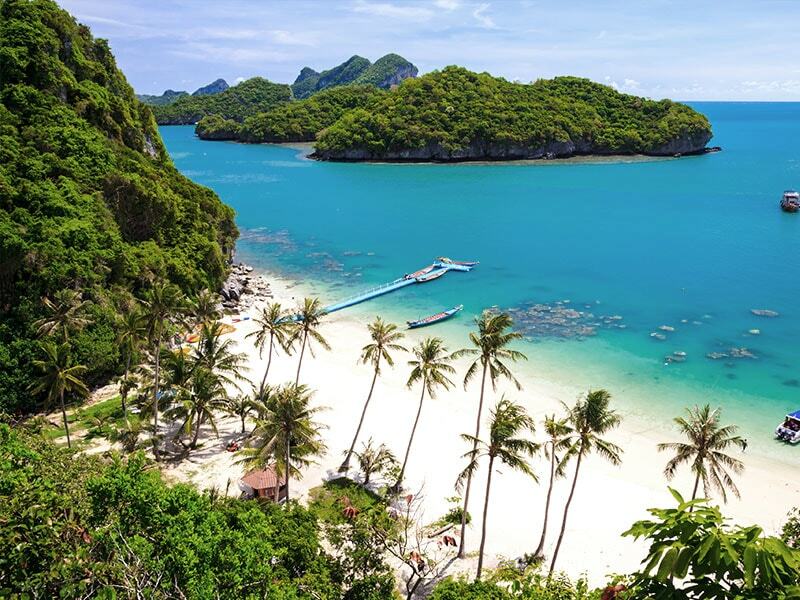 Koh Samui is one of the most awesome islands to visit in Thailand and you’re in for an amazing treat once you arrive there. This is also everything you for information on how to get from Bangkok to Koh Samui by flight. And how to book the Bangkok to Kok Samui first class train. You will also discover how to purchase the Bangkok to Koh samui ferry ticket and the price. What’s in this post on how to get from Bangkok to Koh Samui? My experience of the whole Bangkok to Koh Samui overnight train journey. The Bangkok to Koh Samui overnight train cost. What’s included and what’s not included in the overnight train. How long the Bangkok to Koh Samui train/coach/boat takes from start to finish. How to get from the Koh Samui port to your accommodation on Koh Samui. Is the Bangkok to Koh Samui overnight train 1st class really worth it? My experience of the Bangkok to Koh Samui overnight train journey. What is the best way to get from Bangkok to Koh Samui? I did look into getting a flight from Bangkok to Koh Samui but the cost is 3800 Baht ($117), what a complete rip off for a (1 and half hour) flight from Bangkok to Koh Samui. Keep your flight! I’m getting the overnight train. However, the flight might be a great option for you if you’re on a short holiday and are a little strapped for time. In this case, a Koh Samui from Bangkok flight will be a good idea. I will discuss the Bangkok flights soon. 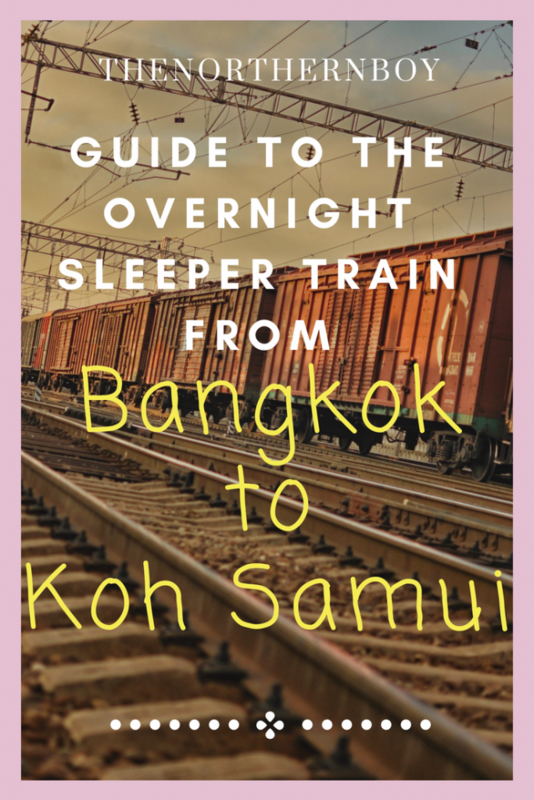 Still want to know more about the sweet Bangkok to Koh Samui overnight train? Let’s get into all the details you need. The whole Bangkok to Koh Samui train journey costs 1400 Baht ($42). I bought the tickets online from 12Go Asia , these are the cheapest overnight train tickets from Bangkok to Koh Samui that you will find. You will receive email confirmation and on the day of you train ride, you will have to pick your tickets up from the goAsia office facing Hua lamphong train station. Your night Train leaving from Bangkok’s Hualamphong train station, to Surat Thani train station. From Surat Thani train station you will get a (45 minute coach) ride to Don Sak ferry terminal. What they don’t tell you when buying your Bangkok to Koh Samui overnight train ticket, is that you will be waiting at the Surat Thani train station for 3 hours! But there is a cafe with WiFi that sells decent food. We had a coffee and breakfast there. 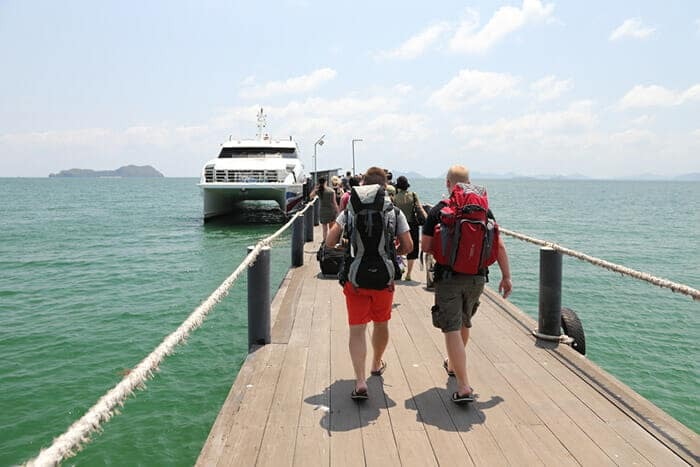 You will then get a (2 hour boat ride) from Don Sak ferry pier terminal to Koh Samui. I’ve seen information on the Koh Samui boat ride saying it took 45 minutes. But, I can’t see how anyone got there that quick on a large ferry. So for just $42 you do get a lot included in the Bangkok to Koh Samui journey – train/bus/boat. Things to know about the Bangkok to Koh Samui overnight train? Before we boarded the train I wanted to know if food was included and I made sure I found this out. Also, there’s a few other things they don’t tell you about when buying tickets for the overnight train. What’s not included on the overnight train from Bangkok to koh samui? Unfortunately there is no power supply for charging your electrical stuff (nightmare). There is no WiFi onboard, I’d recommend buying a data passport for the day. There is nowhere to store your backpack or case on the overnight train. I had my backpack on the bed with me. What is included on the overnight train from Bangkok to Koh Samui? Pillows and sheets are included. At ever station stop, a Thai local will nip on the train selling food and snacks. I payed for some fruit for 40 Baht. At your stop one of the members of crew will wake you up, blessing in disguise this one. A curtain on your bedside. Sinks to brush your teeth and have a wash. The cafe I got breakfast from, while doing the 3 hour wait to be taken to the ferry port. How long does the Bangkok to Koh Samui train take? The train from Bangkok’s Hua Lamphong train station leaves at (5pm). You will reach Surat Thani train station at (5am) the following morning. The coach leaves Surat Thani train Station at (8am) and you arrive at Don Sak ferry station at 8:45am. The bus from Surat Thani train station to Don Sak ferry port. The boat from Don Sak Ferry station to Koh Samui leaves at about 9:15am and reaches Koh Samui around 11:15am. Give or take a little time, you whole getting from Bangkok to Koh Samui journey will take between 18-20 hours. Seems a long time but it does go quick. How to get from Bangkok to Koh Samui by bus ? If you really want to take the bus from Bangkok to Koh Samui, you can get a bus from Bangkok to Surat Thani. From here you will take the boat from Surat thani to Koh Samui. This is a good option if you’re worrying about getting the overnight sleeper train from Bangkok to Koh Samui. Because sometimes the places do fill up. How long is the bus ride from Bangok to Koh Samui? You will be stuck on the bus for at least 10 hours. Make sure your Ipod and laptop are charged. If you don’t like long journeys then this should be fine for you. Personally this sort of time on a bus is a killer for me. I have done my fair-share of long bus journeys in Thailand, so I know how you feel if you have to take the bus. Remember you will most likely have another 3 hour journey on the boat ride for Surat Thani to Koh Samui. This is a nice ride though. 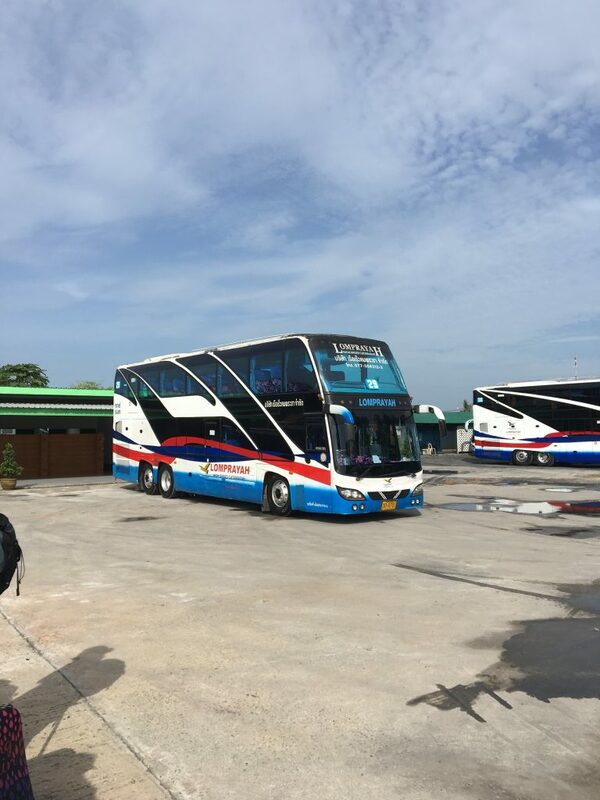 Which buses to get from Bangkok to Koh Samui? You can get a bus from Sai Tai Mai terminal. Make sure you pick the air-conditioned buses! These leave between 5am and 8am. You can also get a private bus from Khao San Road. There is actaully an agency that you can get a sweet double up ticket of bus/ferry. How to book the Bangkok to Koh Samui transport? They will ensure you have an amazing safe trip on your time travelling around Thailand. On the Bangkok to Koh Samui overnight train 1st class, you will be given your own cabin. But I’m my own opinion, I thinks the Bangkok to Koh Samui 2nd sleeper cabin is fine. They could probably help us out by adding charger sockets, but just make sure all your stuff is charged before hand. How to get from the Koh Samui port to your accommodation on Koh Samui? 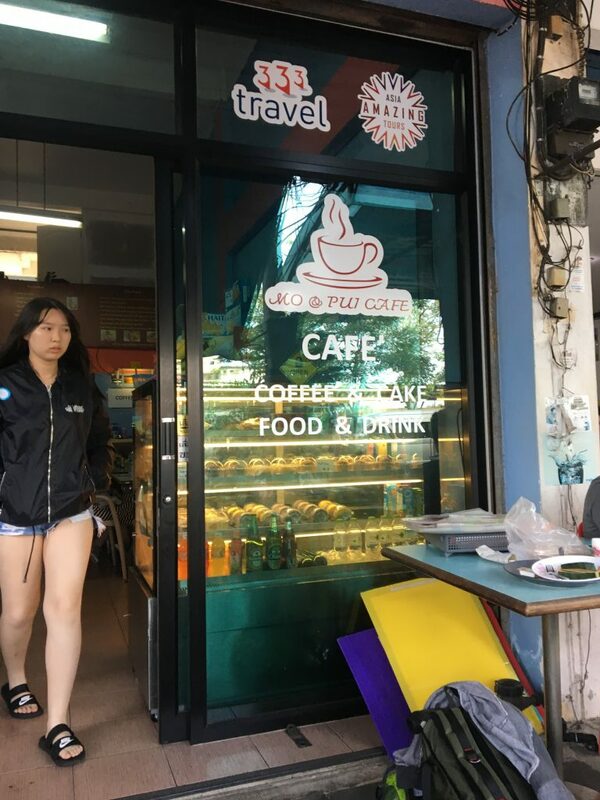 Back at the cafe at Surat Thani train station, I got offered to pay 150 Baht per person for a mini van ride from the Koh Samui port to my accommodation on Koh Samui. I paid this because it is a fair price, my hotel on Koh Samui was on the opposite side of the island to the pier. There is option to buy tickets on arrival, however these may cost you a little more. So it’s probably worth taking up the offer at the cafe. There are buses that will take your from Bangkok to Don Sak ferry station and from here you can take the ferry to Koh Samui. The bus ride from Bangkok to the Don Sak ferry station will take 12 hours+. Personally this would be my very last option. Long bus rides are just gruelling. How to get from Bangkok to Koh Samui by flight? As I mentioned earlier the flight from Bangkok Koh Samui takes between 1 and 2 hours and will cost you around $117. There are plenty of flights to Koh Samui from Bangkok. If your on a short vacation and want to see more of Thailand, it’s worth getting a flight to Koh Samui to Bangkok. For everyone else including backpackers, I would definitely recommend getting the Bangkok to Koh Samui overnight train. It’s actually a cool journey. There are literally loads of places to stay in Koh Samui and you will easily find one near the Sunday night market in Lamai. I stayed at Rich Resort which is a 5 minute walk from night market. This is also one of the best hotels in koh Samui, its located on the beach and you can get a private room here for $11 a night. This accommodation is perfect for backpackers and those looking for a budget room in Koh Samui that is near the beach. Need cheap accommodation in Koh Samui? Any questions on any of the journeys? If this post has been helpful please subscribe to my journey below.